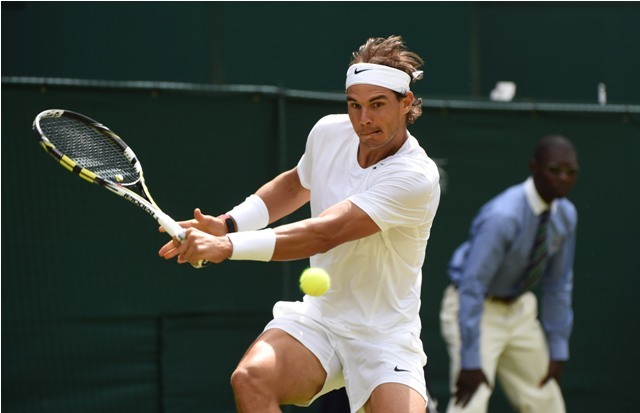 Following his fourth round exit at the Wimbledon Championships, Rafael Nadal stayed true to his word about heading to the “beach” for some rest and recuperation, as he has officially opted out of the Hamburg Open in two weeks. Nadal secured a historic ninth French Open title and a remarkable fourteenth Grand Slam title overall, which puts him alongside Pete Sampras at No. 2 in the Grand Slam title-leaders list. Rafa produced a remarkable contest in front of the Parisian crowd, as he overwhelmed Djokovic for three out of the four sets played to lift his fifth consecutive title at Roland Garros. The French Open champion failed to translate his clay court momentum on grass, as he would lose his opening match at the Gerry Weber Open against Dustin Brown. He would then go on to drop the opening set in all of his Wimbledon matches, including his fourth round loss to Nick Kyrgios. The bet-at-home Open is an ATP 500 event that takes place between the 14-20 of July.